I also attended a talk by Amy Goodman, on her new book tour ("Breaking the Sound Barrier"). It’s uplifting to know that there still are true reporters out there. 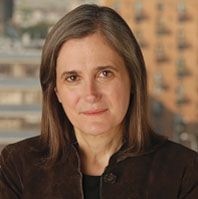 DemocracyNow.org – I’ll be checking out her daily reports regularly. There were also a number of companies specializing in sustainable construction material and fabrics, but I don’t have a real interest in those products at the moment. The BP oil spill (also referred to as the Deepwater Horizon oil spill) is a massive oil spill in the Gulf of Mexico that is considered the largest offshore spill in U.S. history. The Gaza flotilla raid, was the boarding and seizure of six ships from the Gaza Freedom Flotilla in May 2010. The flotilla, was attempting to break the blockade of Gaza and deliver humanitarian aid and building supplies to the Gaza Strip. Israeli commandos seized the ships in international waters of the Mediterranean Sea after the flotilla refused Israel’s requests to have the cargos inspected at the port of Ashdod and items permitted by Israel delivered by land. 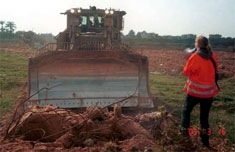 Rachel Corrie was an American member of the International Solidarity Movement (ISM). She was crushed to death in the Gaza Strip by an Israel Defence Forces (IDF) bulldozer when she was kneeling in front of a local Palestinian’s home, thus acting as a human shield, attempting to prevent IDF forces from demolishing the home. Celebrating its 3rd year, Seattle Green Festival is an energetic weekend of eco-innovations and hands-on demonstrations focusing on putting green into daily routines. Seattle Green Festival, held at the Washington State Convention Center, will feature renowned authors, leaders and educators, green businesses, workshops, fashion show, and kids’ activities.